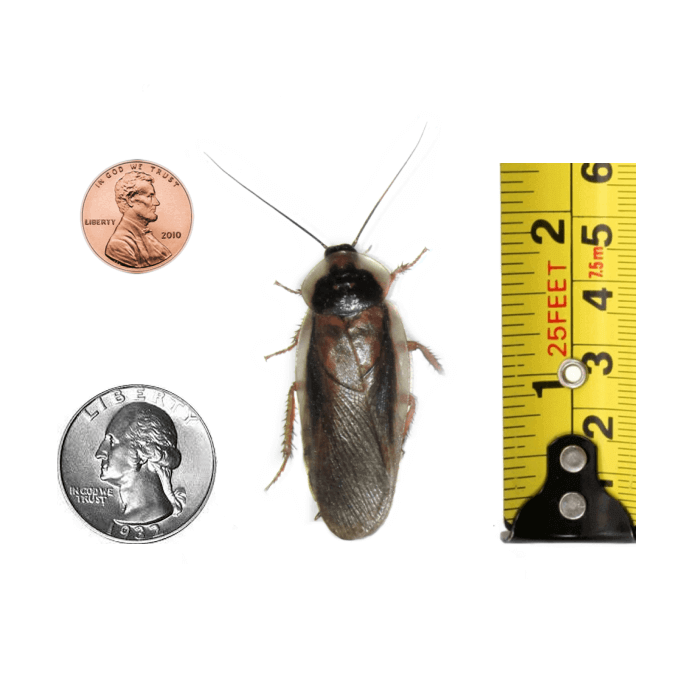 As feeders, adult males are nutritious, inexpensive, and an appropriate size for a wide variety of animals. They’re also a must for at-home breeding projects. 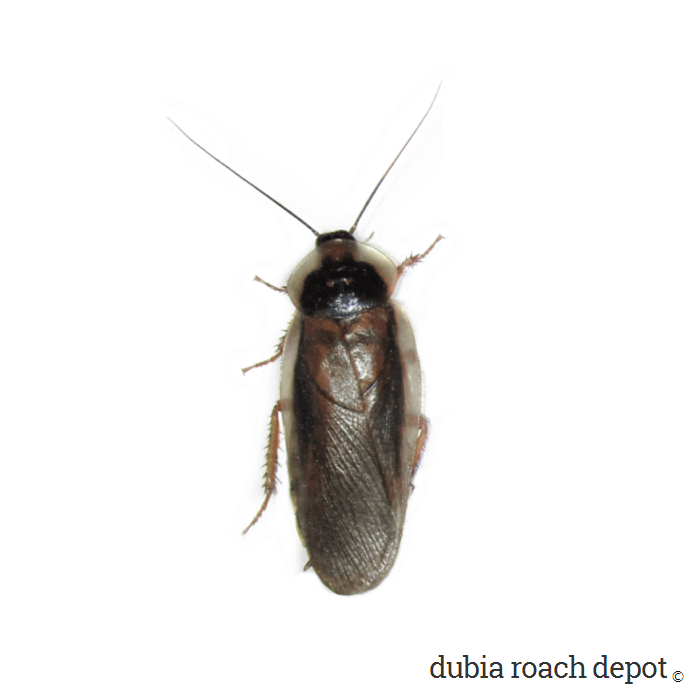 The reproductive role of adult male Dubia roaches makes them arguably more expendable than females. However, we don’t treat them differently. Our adult males get the same food, environment, and care as females. This means they eat only the most nutritious foods and live in conditions that not only meet their needs but contribute to optimum health and productivity. 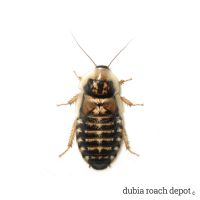 We know that food, temperature, and other environmental factors play a critical role in determining the lifetime mating success of adult male Dubia roaches. Our breeders, both male and female, bring this benefit to your colony. As feeders, male Dubia tend to be more active than females. They’re faster and tend to run around an enclosure more than females or nymphs. 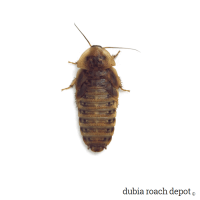 Male Dubia roaches are a great choice if your animal likes a challenge from their feeders. And of course, adult males are wonderfully nutritious feeders, as are females. But we do suspect there may be at least some difference between the two. This difference is likely in their fat content. 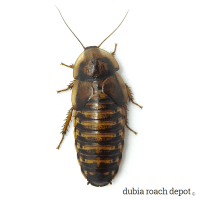 Female Dubia eat their entire lives to build up their fat body, which is an organ similar to the liver important for egg production and other reproductive processes. Males don’t have a fat body, and therefore have different nutritional needs and dietary habits. NOTE: These are our standard adult males. They differ from our New Adult Males in that they aren’t guaranteed to be brand new adults. This is the only difference. We replenish our own adult breeding males with these standard males when necessary. They are housed and packaged from a general population area. They do not come from our breeder colonies. NOTE: We recommend a female:male breeding colony ratio between 3:1 and 7:1. Keep male feeders separate from a breeding colony if including them would bring the F:M ratio above this range. 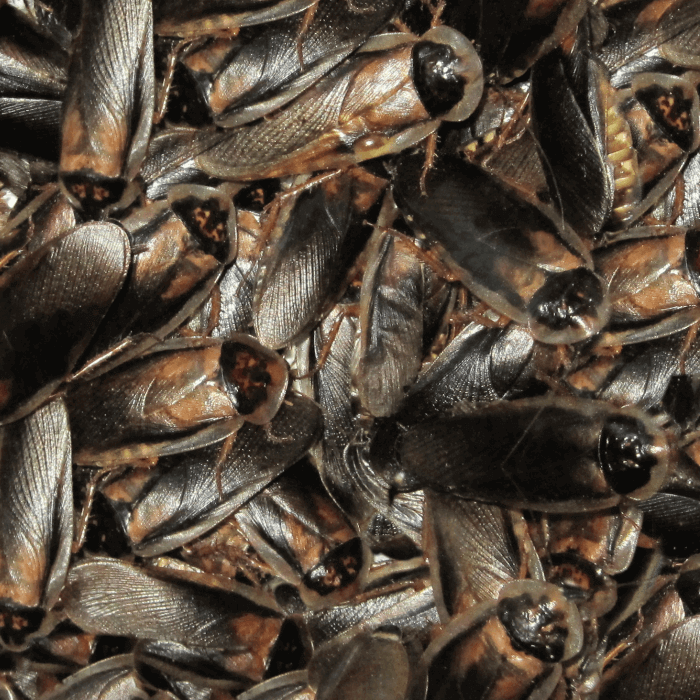 Too many males in crowded conditions can cause the colony stress. On the other hand, fewer males are never a problem. Received my breeding males only 2 days after order. Very fast shipping. They are HUGE and healthy. I am about to place second order. I won’t be ordering dubias anywhere else from now on. ???? Another perfect order of breeding males. ???? Only ordered a couple and got one or two free. All alive and happy. I highly recommend getting your dubias here. You will not be disappointed.